Americas Best Value Inn White Springs-Live Oak offers the most value for your money when staying for business-pleasure or just passing through. We offer clean and comfortable guest rooms-free continental breakfast and in-room wireless Internet. All guest rooms include microwaves-mini-fridges-coffee makers-iron and ironing board and satellite TV with HBO and ESPN. Take advantage of our extremely comfortable beds and relax while saving money year-round with our Kids Stay Free Policy *18 and under in parent*s room*. Enjoy our outdoor pool-BBQ and picnic area. Local dining spots include Fat Bellies Restaurant and McDonald*s. For your convenience our hotel offers both smoking and non-smoking rooms. We are centrally located just a few miles away from Historic White Springs-Suwannee Music Park-Stephen Foster State Park and Potash Phosphate Mine. We are the closest hotel to the I-75 and I-10 junction. Americas Best Value Inn White Springs-Live Oak is your best choice within the *Gateway to Florida. * We offer ideal accommodations and location for those passing through as you enter the Sunshine state. At Americas Best Value Inn White Springs-Live Oak our goal is to provide our guests a great experience not just a place to stay. At Americas Best Value Inn White Springs-Live Oak We*ve Got You Covered from the time you hit the road until your head hits the pillow. 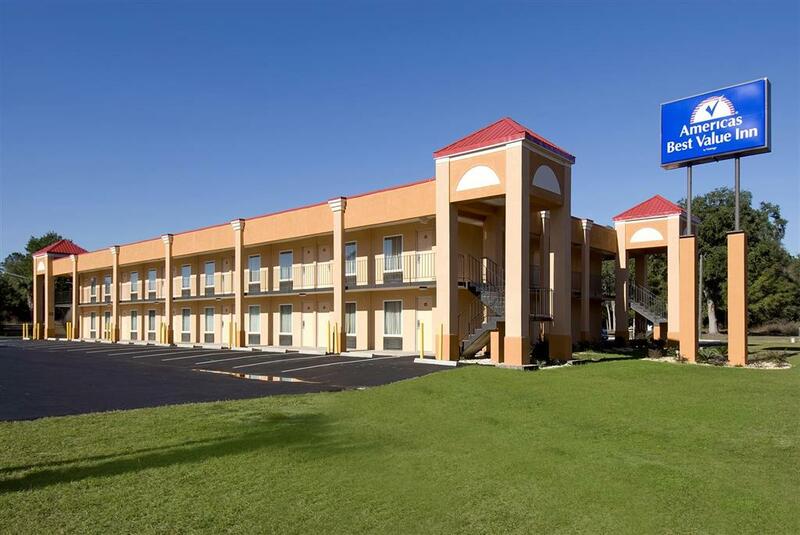 Americas Best Value Inn White Springs/Live Oak is conveniently located off of FL-136. Our address is 3119 County Road 136/ White Springs/ Florida/ 32096. ~68 miles from White Springs.